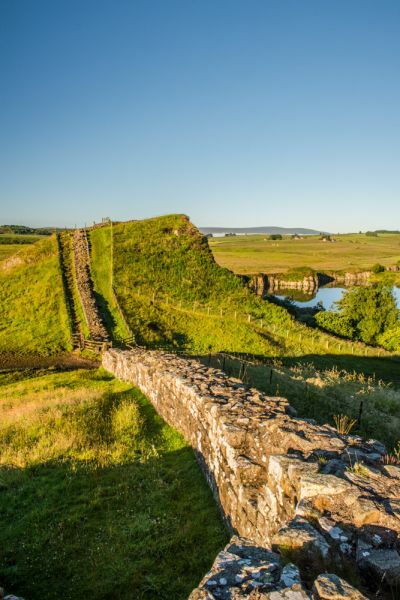 Cawfields boasts one of the best preserved and most scenic stretches of Hadrian's Wall in Northumberland. The wall at Cawfields stretches across a steeply sloped site and terminates abruptly in high cliffs, where the land has been cut away by quarrying. On this stretch of the Wall is a large milecastle, easily accessed on foot. Milecastle 42 at Cawfields is believed to have been constructed by the 2nd Augustan Legion and covers an area of 17.8 metres by 14.4 metres. 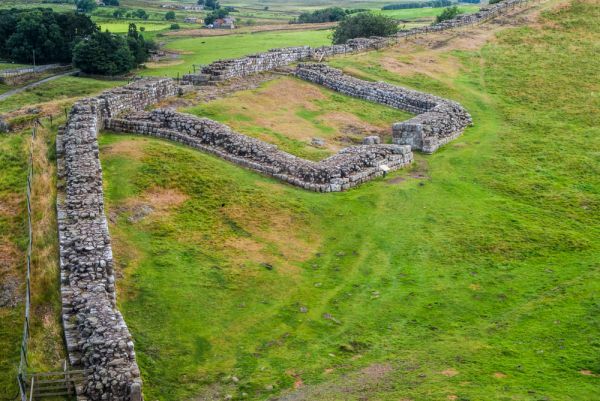 The walls of the milecastle survive to a height of 1.4 metres in places, making it one of the most intact milecastles on the Wall. 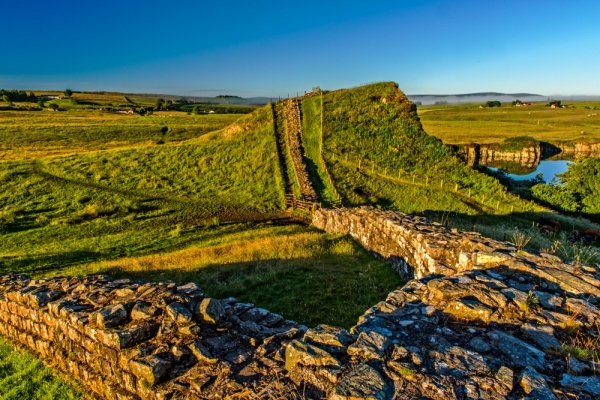 It was built to protect Hole Gap, a weak point in the Hadrian's Wall defences. A dedication slab and tombstone were found when the site was excavated. These can be viewed at Chesters Museum. Cawfields is one of the best preserved and easiest to access parts of Hadrian's Wall. Add to this the excellent views from the steep slopes of the site, and you have a very enjoyable historic attraction. 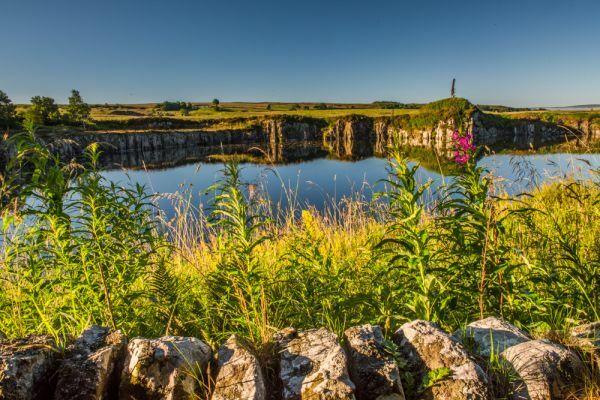 The quarrying that produced the picturesque reservoir below the milecastle may have begun at the time Hadrian's Wall was built, but it was not until 1902 that the Newcastle Granite & Whinstone Company began to quarry Cawfield seriously. Quarrying continued until 1952 when pressure from groups interested in preserving Hadrian's Wall forced the closure of the site. 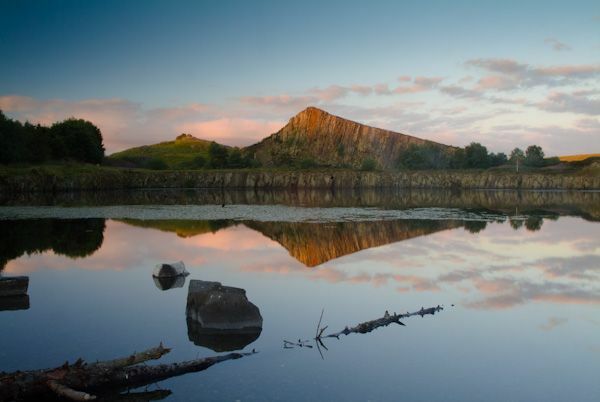 The deep quarry pit became a reservoir, landscaped to provide a picnic area with access to the Wall. The Cawfields site is signposted off the B6318 east of Greenhead, opposite the Milecastle Inn, a popular pub for walkers on Hadrian's Wall. The road curves past Burnhead B&B until it reaches the reservoir parking area. 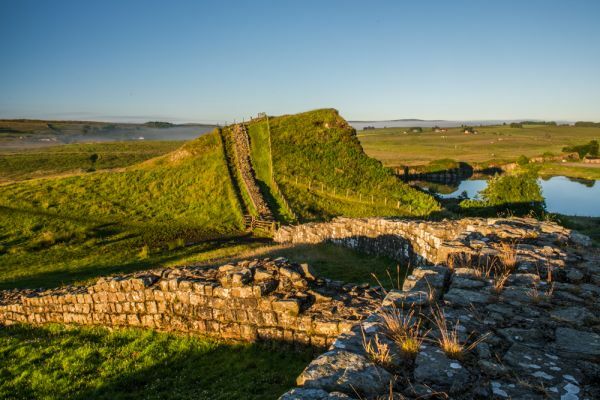 Parking is pay and display and is rather pricey, but you can use your ticket to stay at any of the major parking areas along Hadrian's Wall for a 24 hour period. Cawfields is definitely one of the easiest places on Hadrian's wall to reach by car. From the reservoir a path leads to a gate giving access to a farm field, then almost immediately to another gate. From there you have a steep but short climb to the milecastle. To really get a good sense of the site you need to continue on up the slope of the hill until you reach the top and you can look back at the milecastle below, and see how the wall follows the contours of the land until it terminates abruptly on the cliffs above the reservoir. I've visited Cawfields numerous times, usually in the evening so I can photograph the setting sun on the cliffs behind the reservoir, and I think its one of the most beautiful places along Hadrian's Wall. Location: Open access site, located just over a mile north of Haltwhistle, off the B6318. Parking at the Cawfields quarry picnic site.